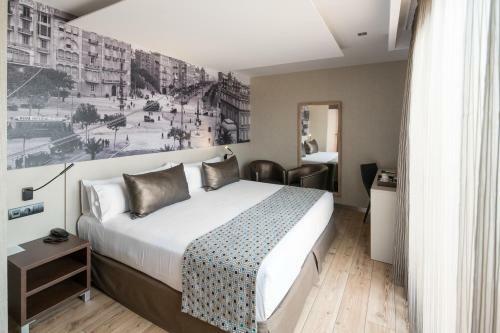 Stay connected with free Wi-Fi at the Catalonia Born Hotel, which has a sunny rooftop pool, tasty restaurant and rooms with all the comforts of home. 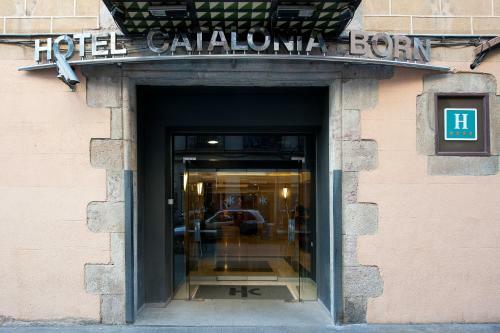 In a handsome building from the 19th century, the Catalonia Born Hotel wraps around a glassed-in central courtyard. The 90 traditionally decorated rooms and suites, many with private balconies, have hardwood floors that lend them a homey feel. Non-smoking rooms are available. Flat-panel TVs with complimentary Wi-Fi connections are among the amenities. Black-and-white marble bathrooms have hairdryers, robes and slippers. Minibars are stocked with free bottled water. The rooftop pool is a relaxing retreat in warm weather. A breakfast buffet starts the day, and light meals are available in the restaurant for lunch and dinner. Room service is also an option. You'll look our best with the dry cleaning and laundry service. Parking is available nearby. 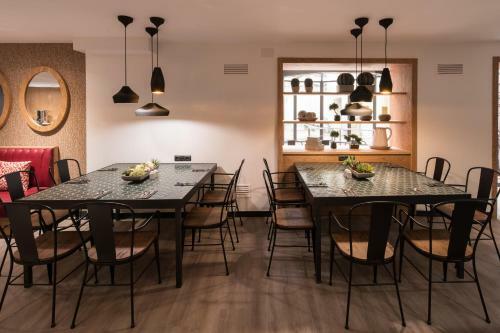 In the city's El Born neighborhood, the Catalonia Born Hotel is close to a subway station and a train station that make getting downtown a cinch. There are plenty of restaurants on the surrounding streets. Among the nearby attractions are the triumphant Arc de Triomf and the leafy Parc de La Ciutadella. Barcelona International Airport is 11 miles southwest.